My two main goals for this Whole 30 were to get a handle on my sugar cravings, and also to be more conscious about what I put into my mouth...ie: stop eating the crust from the grilled cheese sandwich my son left on his plate, and the last few goldfish left in the package before I throw it away. All of those random "snacks" add up, and why am I even eating them in the first place? I will admit, even up to the very day we started, I was not looking forward to it. The last time, I was excited, pumped up, and read the book (or part of the book). 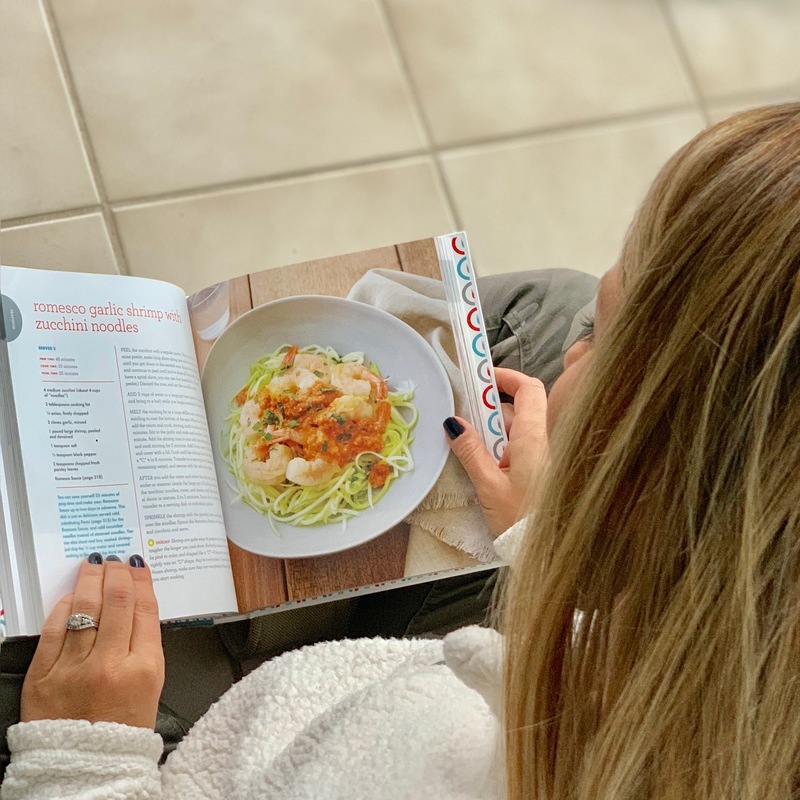 This time around, I had the general idea of what was involved, so I skipped the book and just hunted for recipes on Pinterest. I didn't even weigh myself until day 4, and I only did it then so I would have something to tell you guys! ha! And guess what...I forgot what my original weight was! I have a general idea, but I don't remember the exact number. And, I didn't take any measurements. Although I do wish I had something to compare from start to finish, I am somewhat proud of myself for not getting hung up on the numbers. My goal this time around was to feel better and get a handle on my poor habits, so I didn't worry about the scale/tape measure. And let me just add there is NEVER a good time to start something like this. So many people asked me how in the heck I could do Whole 30 during Halloween??? Well, there's always something, you know? Whether it's a holiday, family event, girls night out, vacation...and the list goes on. You just have to set a date and go for it! And, you will have to accept the fact that you will most likely miss out on some things, but that's ok. I missed out on Halloween candy (and spiked apple cider drinks), and while it was hard to avoid it at the time, I am so proud of myself for not eating one single piece! My boys got to indulge for a few days, and then we donated it to a local dentist who gave them a goodie bag in return. It was so nice to get it out of the house for numerous reasons, but it also helped me avoid cheating because it wasn't laying around taunting me. The main thing that saved me this go round was sharing the meal prep with my friend! That was a HUGE help! If you have ever done any sort of diet on your own, when the rest of your family continues to eat the way they always do, then you know how hard it is! You end up cooking two meals, and then you have to sit there and watch them chow down on chicken fingers while you are munching on your 17th salad for the week. I tried my best to incorporate meals that the whole family would eat, but on the nights they wanted pizza, having things prepped for myself was a lifesaver. I think the hardest part about Whole 30 is not having a lot of convenience foods. When things are already chopped and ready to eat, they are convenient to grab and therefore I was much less likely to cheat and grab a bag of chips out of desperation. Breakfast was a big one where I needed something quick that I didn't have to think about. Our mornings are always a little cray, so on days I couldn't make eggs, I relied heavily on my beloved Sweet Potato Breakfast Bowls! I will say that I do feel better overall...less bloated, I have more energy, I slept better. All great things! But, damn I missed me some chips and queso! And wine! And chocolate! Now, the hard part is deciding if I am going to continue to eat healthy, while periodically adding in real life foods here and there. That's the goal, but you know how that goes! I specifically timed this Whole 30 to end prior to Thanksgiving. I did want to be able to enjoy all of the traditional foods. And, I did enjoy all of them while they were in my mouth. However, a few hours later my stomach was in knots and I was regretting eating so many rich things at once. I think my body wasn't quite ready for all of those foods again. Ever since Thanksgiving dinner, I have gone back to eating fairly good, not Whole 30 strict, but eating less junk and more whole foods. So, as I said before, I didn't take any measurements prior, and I lost somewhere between 3 and 6 pounds. All of my same clothes fit, but I do feel more comfortable in my jeans. All in all, I am glad I did it again, and while I don't seem to ever have stellar results in the area of weight loss, I like how it gave me a good reset to my sugar cravings and unconscious snacking habits. Eggs--lots of eggs. Usually plain, but sometimes I would add Everything but the Bagel seasoning from Trader Joes. I also like eggs with avodaco. And, when I had sliced peppers and onions, a fajita style omlet was yummy! Sweet potato bowls. I love these! Reminds me of Thanksgiving. And, I had a couple of smoothies, which I know is frowned upon, but I used only coconut milk, fruit and veggies...no protein powder, dairy, or added sugars. And when you're in the habit of drinking a smoothie for breakfast, I see nothing wrong with one every now and then. 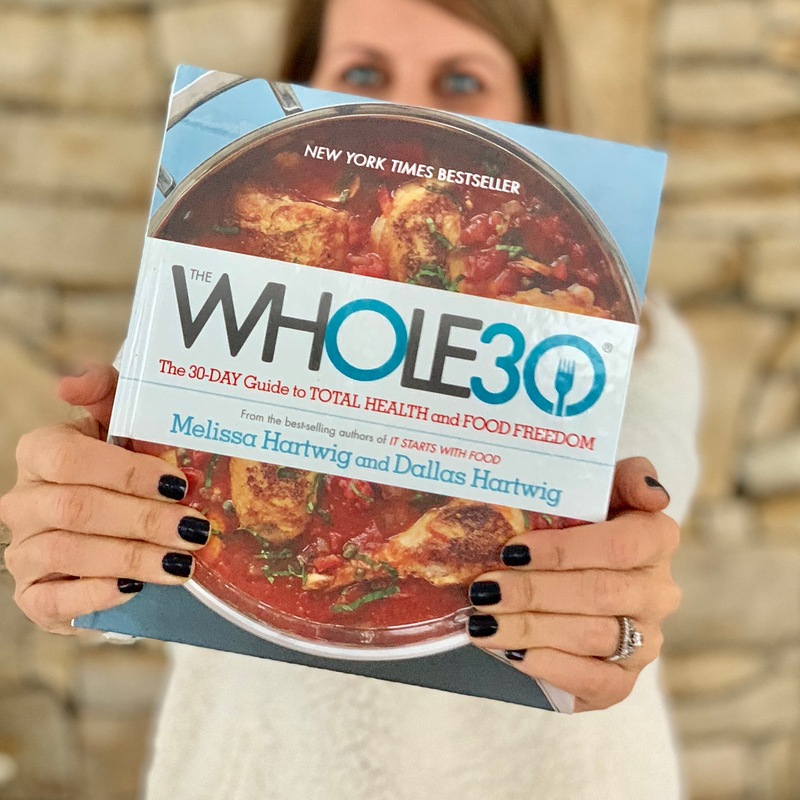 If you try Whole 30, I'd love to know your thoughts!